CALGARY, ALBERTA: Seventy-two thousand dollars will go a long way in renovating a local community space. 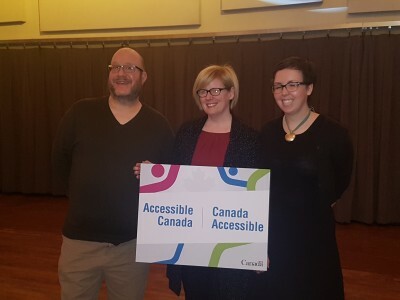 Minister of Public Services and Procurement and Accessibility, Honourable Carla Qualtrough, said the Evergreen Community SPACES building in Calgary is receiving this money through the Enabling Accessibility Fund. “The idea of creating initiatives that remove barriers for people with disabilities is really the idea of making our country better and more equal,” said Qualtrough. She adds Canada can’t succeed as a country unless we give everyone an equal opportunity, and we can’t achieve this if 20 per cent of the population is excluded. Valmai Goggin, President of the Evergreen Theatre Society, said the building isn’t as accessible as it should be, but they have done everything they can to welcome everyone. The building was chosen as one of 400 places in Canada to receive part of $20 million, and they already have plans for how they’ll use the funding. “First of all, they’re going to add a ramp to the entryway so that people can get into this space, they’re going to make their washrooms more accessible, add some different features, add some ramps between rooms just to make it more easy for anyone with mobility issues to get around,” said Qualtrough. Article originally posted on 660 City News.